It’s the most wonderful time of the year (ding dong). Lights are twinkling, Slade’s playing on every radio channel and all eyes turn towards the Chief Exec of Christmas, the main man, the one and only: Santa Claus. For centuries he’s delivered a solid, dependable, trustworthy service; his results speak for themselves but what kind of a leader is he? What’s his management style? Is the man behind that jolly demeanour actually an autocratic megalomaniac or is he the benevolent boss he appears to be? Santa might be the face of Christmas but without those hard-working, nimble-fingered elves there’d be no presents to unwrap on Christmas morning. Of course we all know that elves love making presents but how does he make sure they stay motivated and engaged? With a clear and focused objective: all the presents need to be made, wrapped and labelled by Christmas Eve. In Santa’s workshop, the entire year is a giant advent calendar; as each day goes by, the elves know how much time they have left to meet their target - and they know how high the stakes are. You may like: What does 2019's business leader look like? There’s no denying that Santa works those elves hard but it’s not exactly a sweatshop. The workshop culture is pretty darn rosey; it’s warm and cosy, they sing songs, they chat, and in general everyone seems to have a jolly nice time. It’s ultra-organised and there’s plenty of camaraderie, with each elf knowing exactly where they’re supposed to be and what they’re supposed to be doing. Over the years questions have been raised about whether Santa is taking advantage of the elves’ diligent natures, with some suggesting that they should form a union to secure more holiday time. No matter how much someone wants to work, it is a leader’s responsibility to make sure their employees are happy and not over-worked. We appreciate that Santa himself is under pressure but if the elves work too hard, they run the risk of burnout and that would bring Christmas to a grinding halt. 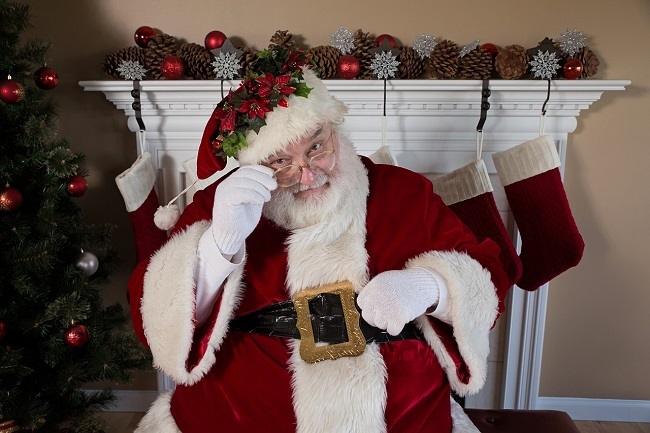 From what we’ve seen, however, Santa seems, on the whole, to be a fair and empathetic leader. He rewards hard work, he’s encouraging, he engages with his employees - and there’s no denying that the elves love him. To keep morale high, Santa often reminds them of the importance of their jobs, how much he values them, and how their hard work will bring happiness and joy to millions of children around the world. After all, failure to meet their objective would result in worldwide misery, abject sorrow and possibly the collapse of Christmas altogether (he doesn’t tell them this bit). In some ways, Santa has the dream job. He only goes to work one night of the year, leaving him with 364 days to practice mindfulness, do some hot yoga and catch up on his reading list. But is his work/life balance all it’s cracked up to be? While he definitely works fewer hours than the rest of us, cramming all his work into one night does smack of poor time management. Every year he runs the risk of not getting all the presents delivered in time, leading to unimaginable levels of stress and anxiety - after all, his entire brand depends on it. One way to combat this pressure would be to deliver presents all year round. This would still give Santa a pretty flexible life with plenty of downtime as well as reducing risk and minimising stress. However, while that would be good for Santa, it would require almost impossible levels of discipline and restraint from children desperate to open them. It would also create logistical problems for parents about where to store them. And then there’s the excitement factor. Knowing Santa’s whizzing round the world, delivering presents on one special night creates magic and wonder - the very essence of Christmas some might say. In a nutshell, Santa’s work/life balance is all over the shop but he’s bound by the constraints of his industry. It would be much better for him if he could work around six months of the year, leaving him with six months to hang out with Mrs Claus and take up a hobby. But he does it this way for us. He takes one for the team, proving his altruism and commitment to the spirit of Christmas. This one’s pretty short and sweet. NOBODY can fault Santa for his time-keeping. He may be big but he’s nifty. Year in, year out, he achieves the seemingly impossible. He flies all over the world in one night, squeezing down chimneys, leaving presents and constantly checking his list - and he always gets it done before the first child wakes on Christmas morning. Santa understands the importance of delivering on time. If he’s late just once, his entire brand reputation could be at risk. So what’s the key to his time-keeping ingenuity? Planning, planning and more planning. He leaves nothing to chance, instead organising every detail of the big night to ensure success. If something works he repeats it the following year; if it slowed him down, he changes it up. He constantly re-evaluates his methods and practices to guarantee optimal speed and efficiency. Of course it would be remiss of us not to mention his reindeer - especially Rudolph - who make it all possible and who obligingly eat carrots all night even though everyone knows they’d rather have the mince pies and sherry. After speaking to a lot of people, it seems nobody has a bad word to say about Santa. Above all else, he’s seen as trustworthy, fair and the epitome of integrity. The key to his success: consistency. He found his niche, became the very best at it and cornered the market. As the decider of who’s naughty or nice, it’s crucial that his behaviour is impeccable and above reproach - and it always is. Santa isn’t just part of Christmas, he IS Christmas, and he’s achieved this by consistently aligning his brand with the core principles of the festive season. Jolliness? Check. Generosity? Check. Magic, dreams and all the feels? Check. One of the reasons Santa’s brand is so effective is because it’s all based on pure and enduring positivity, with the message constantly reinforced. Children believe with all their hearts that Santa cares about them and wants to make them happy - even the ones on the naughty list. The only potential chink in his armour is the whole name thing. Some people call him Santa, some call him Father Christmas and some even say Saint Nick. With most brands this would be a definite no-no but Santa’s brand power is so big and so global, he gets away with it. No matter what people call him, we all know who they’re talking about. Possibly one of the biggest criticisms of Santa has been his unwillingness to delegate. While he does have something of the superleader about him, it’s easy to see why he finds it hard to relinquish control. The fact is he knows how to do it. He knows that when he gets in that sleigh with his trusty reindeer on Christmas Eve, the job will get done the right way, on time, with no complaints. Although we understand why he feels this way, as a business leader it is vital to delegate so you can focus on steering and growing the company. With all focus on Christmas, he may well miss opportunities to move into Easter. Delegating frees up your time as a leader but it also engenders trust in others and empowers them to grow. Of course letting go can be hard - especially when there’s so much at stake, but it doesn’t have to be all or nothing. 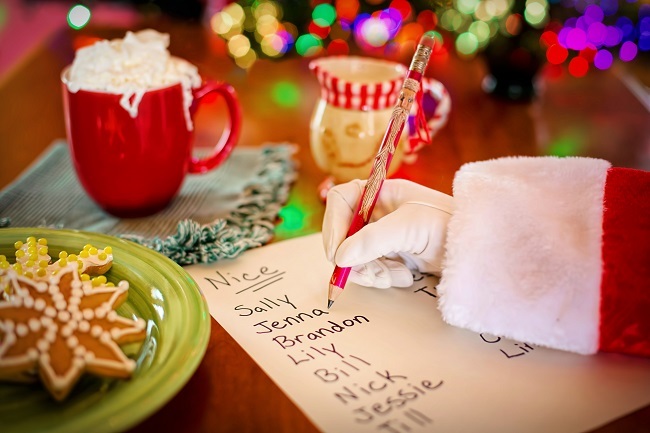 Perhaps Santa could delegate the list work or he could employ a manager to oversee the elves in the workshop. Moving forward, he could take someone with him on Christmas Eve so they could learn how he does it. Ultimately, as a brand grows, it needs a leader at the helm, making decisions and driving change. We think it’s time Santa realised he doesn’t have to do it all by himself. When it comes to health, Santa’s firmly on the naughty list (sorry Santa). However, it’s not all doom and gloom. A few simple tweaks could see him moved over to the nice side. Firstly, he could do with shifting a few pounds. By taking some time to focus on himself and his health, he could reduce his risk of weight-related diseases, and most importantly, feel more energised and positive. While nobody wants a skinny Santa (after all, being round and jolly is an intrinsic part of his brand), in order for him to continue doing his job as a leader, he needs to take care of himself both physically and mentally. We’re sure that if Santa sets the example of self-care, Mrs Claus, the elves and even the reindeer would follow suit. We’d also recommend he takes a look at his binge-drinking. We don’t know how much he drinks the rest of the time but on Christmas Eve he definitely goes for it. In general, drinking on the job isn’t the best idea. It no doubt affects his judgement, his ability to steer the sleigh and leaves him with a stonking headache the next day. Having said that, while we would never endorse drinking at work, it seems to have worked for him so far - and it is Christmas after all. When all’s said and done, Santa is definitely ‘nice’. He may not be perfect and it’s true that he hasn’t exactly moved with the times - but if something’s not broken, why try to fix it? In a world that never stops changing, a leader that’s dependable and emotionally connected has the power to make people feel secure and happy. If the biggest indication of leadership success is how much people trust and believe in you, we can all learn a lot from Santa.